Check out the 2018 Atlantic Book Awards Festival Lineup! This year’s events, a mix of authors in conversation, readings and book signings, will take place in a variety of venues, from bookstores and libraries to breweries and cultural institutions like the Maritime Museum of the Atlantic. Events take place from St. John’s to Liverpool. Nominated authors include Newfoundland first novelist Mary Walsh (St. John’s, May 3 and Halifax, May 9) and celebrated children’s book illustrator, Sydney Smith (Halifax, May 8). 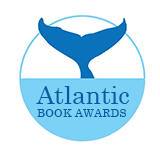 Celebrate the Atlantic Book Awards with an evening of readings by nominated authors Bridget Canning (The Greatest Hits of Wanda Jaynes), Charis Cotter (The Painting), Eva Crocker (Barrelling Forward), Alison Dyer (I’d Write the Sea Like a Parlour Game) and Mary Walsh (Crying for the Moon). Join us for the launch party of Rachel Bryant’s The Homing Place: Indigenous and Settler Literary Legacies of the Atlantic, shortlisted for the 2018 Atlantic Book Award for Scholarly Writing, co-presented by Fog Lit Festival. We may be surrounded by fake news, but true stories are more popular than ever, as nonfiction books top bestseller lists and readers gobble up memoirs, historical narratives, investigative journalism and more. Join Dean Jobb, author of Empire of Deception, as he speaks with Atlantic Book Awards nominees: memoirist Pauline Dakin (Run, Hide, Repeat); investigative journalist Joan Baxter (The Mill: Fifty Years of Pulp and Protest); archaeologist and historian Karolyn Smardz Frost (Steal Away Home) and columnist John DeMont (The Long Way Home). Books will be for sale by King’s Co-op Bookstore. Sponsored by the University of King’s College Master of Fine Arts in Creative Nonfiction. Friday, May 4 at 7:00 p.m.
A Literary Gala featuring readings by the three writers shortlisted for the Thomas Raddall Atlantic Fiction Prize: award-winning novelist Carol Bruneau and Margaree’s own Sarah Faber and Oisin Curran. This event is co-hosted by two local literary organizations celebrating milestone anniversaries this year: The Drs. Coady & Tompkins Memorial Library (in honour of its 40th anniversary) and the Cabot Trail Writers Festival (in honour of their 10th anniversary). Join Dr. Brian Douglas Tennyson for a presentation on Nova Scotia’s experience of the First World War as explored in his latest book, Nova Scotia at War, 1914-1919, nominated for the 2018 Democracy 250 Atlantic Book Award for Historical Writing. Author Lesley Choyce will read from The Unlikely Redemption of John Alexander MacNeil, nominated for the Jim Connors Dartmouth Book Award (Fiction). Join Pauline Dakin (Run, Hide, Repeat: A Memoir of a Fugitive Childhood), John DeMont (The Long Way Home: A Personal History of Nova Scotia) and Aaron Williams (Chasing Smoke: A Wildfire Memoir) as they read from their Atlantic Book Award-nominated memoirs. Book signing will follow. Join us to celebrate the 30th anniversary of the Dartmouth Book Awards featuring readings by 2018 nominees Quentin Casey (The Sea Was in Their Blood: The Disappearance of the Miss Ally’s Five-Man Crew), Carol Bruneau (A Bird on Every Tree) and author Meryl Cook (One Loop At a Time), with live music by the Evan Mahaney Jazz Trio. Books will be for sale by Bookmark Halifax. Celebrate the 40th anniversaries of Woozles Bookstore and Nimbus Publishing at a special event sponsored by Marquis Book Printing and featuring celebrated illustrators Angela Doak (Atlantic Animal ABC), Sydney Smith (Smoot, Town is by the Sea) and Emma FitzGerald (Everybody’s Different on Everybody Street). Based on first-hand accounts of the author’s father, a rifleman from Jacquet River, NB, Andy Flanagan’s The Endless Battle: The Fall of Hong Kong and Canadian POWs in Imperial Japan, nominated for the Democracy 250 Atlantic Book Award for Historical Writing explores the Battle of Hong Kong and its long aftermath. Join Flanagan for a special presentation and author talk. Join us at Lane’s Privateer Inn for readings by the Thomas Raddall Atlantic Fiction Award nominees, Carol Bruneau (A Bird on Every Tree), Oisin Curran (Blood Fable) and Sarah Faber (All is Beauty Now). Raise a beer to the Atlantic Book Awards nominees at Garrison Brewery and join us for readings by Mary Walsh (Crying for the Moon), Allan Cooper (Everything We’ve Loved Comes Back to Find Us) and David Huebert (Peninsula Sinking). Books will be for sale by Bookmark Halifax. Wednesday, May 9 at 6:30 p.m.
Powered by Love: A Grandmothers’ Movement to End AIDS in Africa interweaves the remarkable stories of African grandmothers who stepped in to care for their orphaned grandchildren in the wake of AIDS with the stories of the Canadian grandmothers who rallied to build a social movement to support the African grandmothers based on the principles of solidarity, not charity. Join the author, Joanna Henry, and the photographer, Alexis MacDonald (from PEI), in a candid, thought-provoking conversation on the making of this best-selling book – from the deliberate design and selection of photos, to the unique way this story is told in a collective, feminist voice. Books will be for sale by Bookmark.